Knowing where you come from is a good start to getting a strong sense of self. However, getting to know your ancestors means that you need to dive deep into your family’s treasure box; that is if your family has even bothered to keep track and recorded your family stories. So to get ahead and start a new family tradition for the generations to come, it is best to record your bloodline and stories through an efficient tool. Using a family tree template is an easy and effective way to record family members and the history of the ancestry. 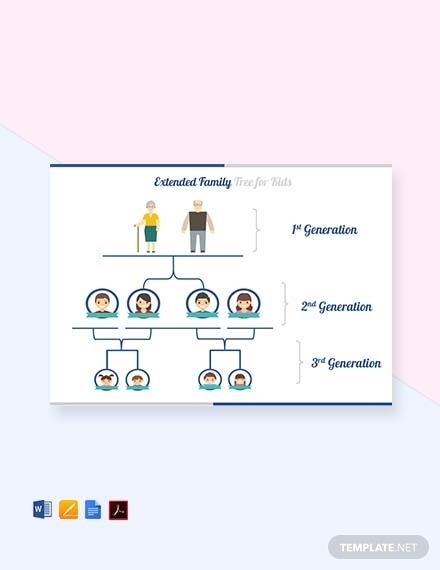 To help you get to know your roots better, a four-generation family tree template will show you four generations of your family: from your great-grandparents to grandparents, to your parents, and down to you and your siblings. This template is free to download and edit on any versions of Microsoft Word and Apple Pages. A blended family or bonus family is a family that has a child or children that are not genetically related to the other partner. 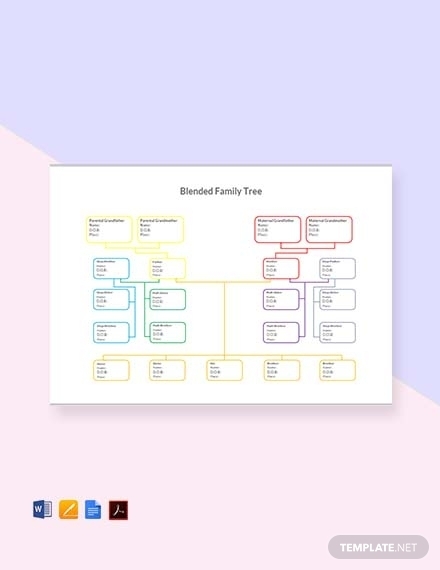 A blended family tree exhibits these connections in the hopes of making the unique relationship within the family easier to understand for other people. 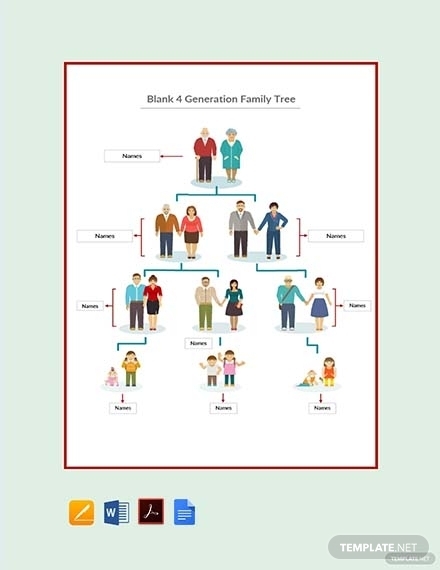 Through this family tree template, you can organize and make sense of your own family. Knowing all the members of a clan is important when planning to hold a family reunion, especially when it comes to sending out the family reunion invitations. 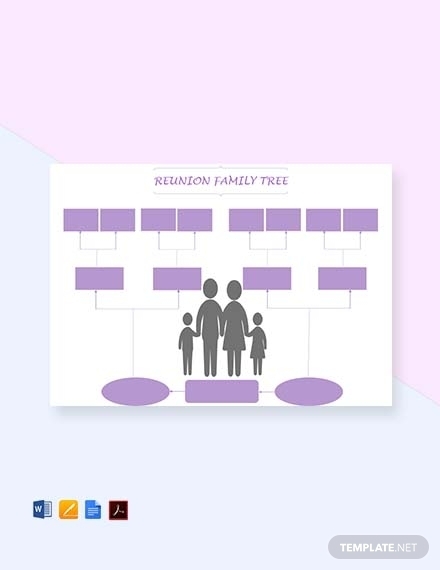 Through a reunion family tree template, you can have a thorough presentation of your family’s ancestry. Download this template in Word, Pages, and PDF format. Use this basic family tree template to help you easily and clearly present your family’s ancestry. This uses a high-quality layout but is still easy to use and fill out. You can customize and edit this template in Microsoft Excel and Word, and Apple Pages and Numbers. An extended family is more complex and needs to be discussed more thoroughly since it extends to the grandparents, aunts, uncles, and other relatives, who all live nearby or in one household. 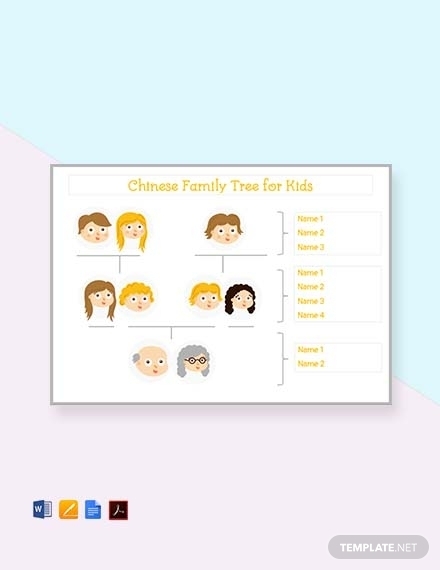 To make it easier for kids to understand the relationships and connections in the entire family, you can use this extended family tree template. Normally, a family tree only consists of the name of each family member, and maybe a short description. But to dive deeper into getting to know the family, including photos for each member, will surely help. This photo family tree template is great to use when you want a framed family tree in your household. Kids need to know who their cousins are to help them form a great and unbreakable bond. 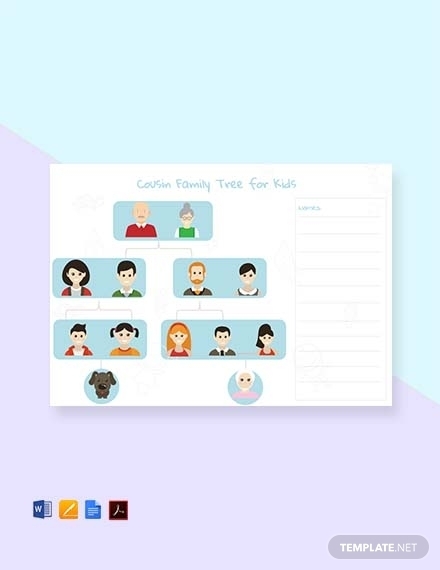 This Cousin Family Tree for Kids template will surely help them familiarize their cousins along with their respective parents. You can edit the colors, texts, etc. in any version of MS Word and Apple Pages. Chinese families take pride in their strong family connections. In relation, you can use this template to help your kids get to know their Chinese roots. You can easily edit the contents, and even the layout in any version of Microsoft Word, Apple Pages, and can be opened in PDF format. A three-generation family only includes the writer’s grandparent, parents, and himself or herself. 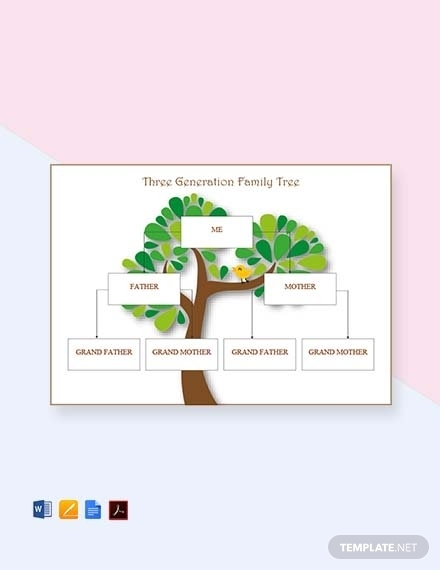 This three-generation family tree template will allow you to write down names and a few descriptions of the aforementioned family members. This can be a perfect template to use for a kid’s family tree homework. 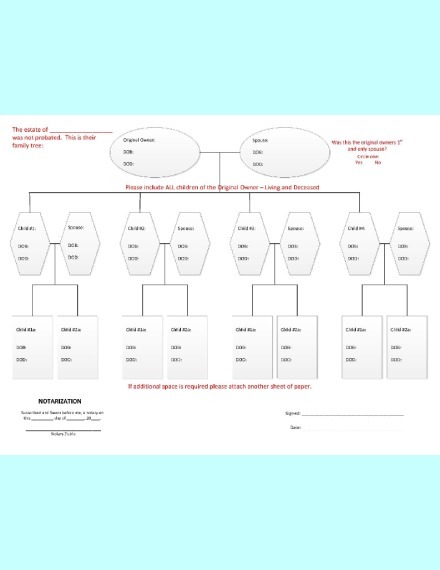 This simple family tree template will help you organize the details pertaining to your family connections. This can be used for either nuclear or extended family. You can easily download this template and edit it in Microsoft Word and Excel, and Apple Pages and Numbers. 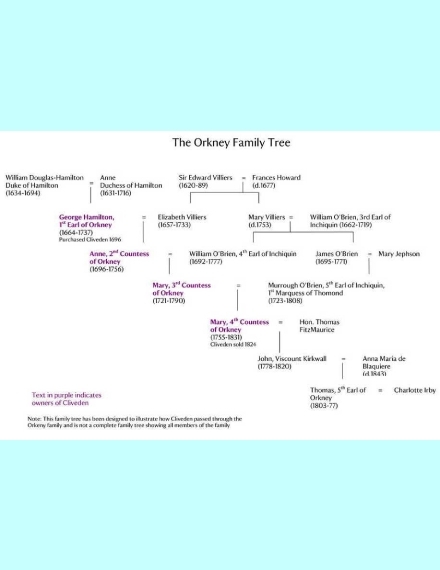 This family tree shows the relationships within the Orkney Family. However, this does not include all of the family but only the passage of the great house of Cliveden to the members of the family. Cliveden was an exceptional home to dukes, earls, viscounts, and for some time a prince. 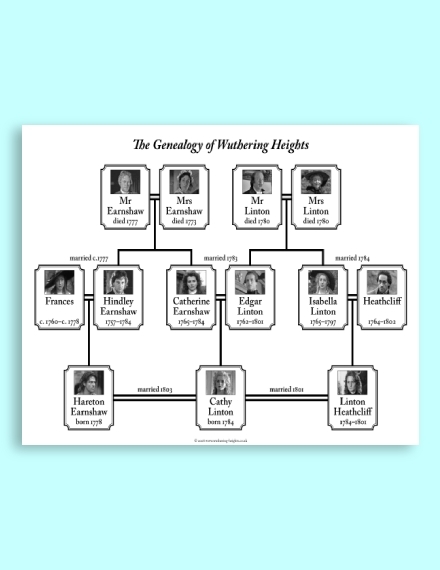 This Wuthering Heights Characters Family Tree is based on the novel and movie of the same title. It shows the fictional family’s history through a clear and organized manner. Since the families in the story are all connected in some love-related way, this will help everyone better understand the complexity of such relationships. This family tree for probate estate will be used in the court as evidence that the deceased is related to the claimants of estate property. During probate administration, this will be used to certify the genuineness of the relationship between the deceased owner and his or her relatives. Once the family tree is notarized, it can then be processed or submitted to the court. Mary Stuart or Mary I of Scotland reigned over Scotland from 1542 to 1567. She briefly became queen consort of France until the death of his father King Francis II in 1560. 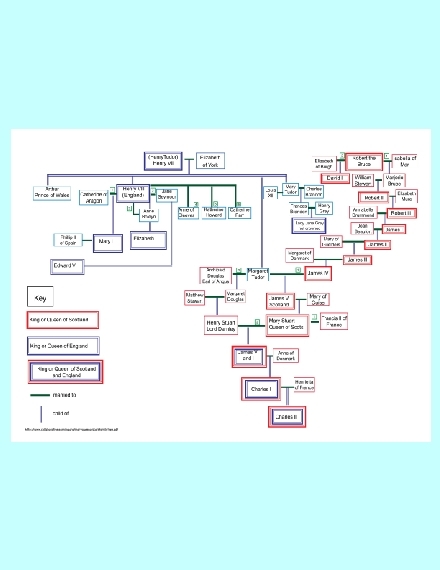 In this family tree, a thorough presentation of her infamous bloodline is given in the hope of making it easier for everyone to understand her history. Henry VIII was the king of England from 1509 until his death in 1547. He was the second Tudor monarch, succeeding his father. Since the king was known for his six marriages, it quite hard to keep up with his family. 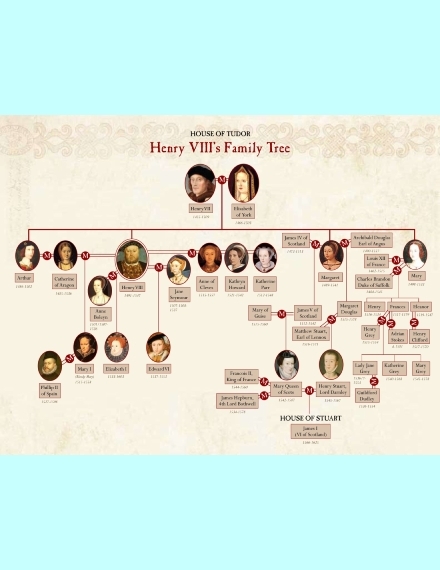 But to help you with that, a Henry VIII’s detailed family tree is given above in PDF format. 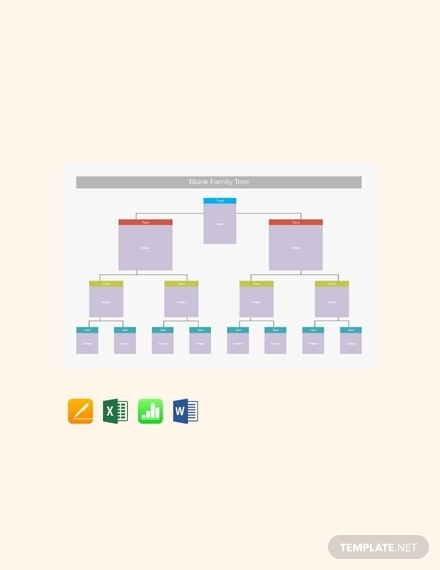 The family tree templates given in this article are editable and free for download. 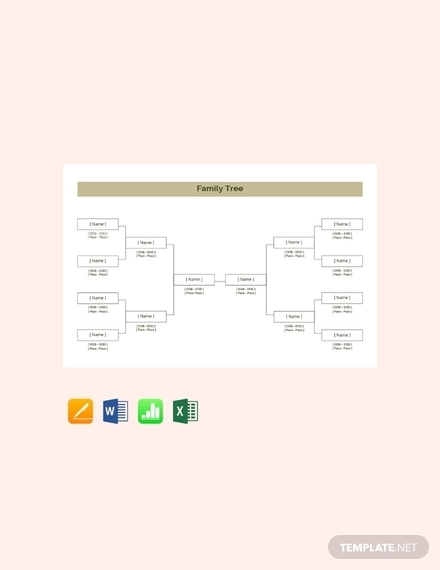 Use the various types of templates for a certain purpose to help make the process of making a family tree easier for you. Although it can be a tedious task to collect information especially when nobody in the family kept a record, it can also be an informative and rewarding activity.